Fruit flies whilst attracted to ripened fruits and vegetables will also breed in drains, empty bottles, cans, mops and cleaning rags. In fact, all that is really required for fruit fly development is a moist film of fermenting material. Like all flies, the fruit fly will develop through a complete metamorphosis. The fruit fly eggs are usually laid near or on top of fermenting materials. The mature larvae of the fruit fly will then emerge from the breeding material seeking a dry spot in order to pupate. 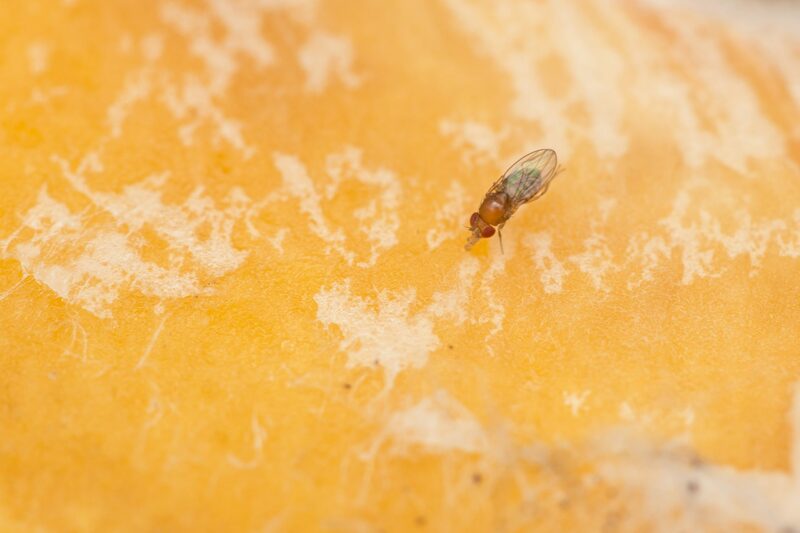 Unfortunately, the first indication of a fruit fly infestation is usually when the fruit fly are viewed flying around. In domestic properties, this is more often to kitchen areas but unfortunately in business establishments not only to kitchen areas but bar areas which can cause enormous concern, especially to customers. It is important therefore that all areas should be kept clean and this applies to counters as fruit fly will eat spilled food and not just fruit, they will eat just about anything.